When you look at the African-American community, it becomes apparent that we are not afforded the same resources at the same rate as others. We wanted to bridge that gap. I am a huge believer in community and supporting friends, so there was no way I was going to say no when my fellow Ole Miss alum and fraternity brother, Barry Gist, asked me to come up and teach a class in Nashville at his new gym. Urban Strength is no regular gym. There is so much more than meets the eye. Beyond the equipment and punching bags, there are classes like “The Hov,” a boot camp class that mixes cardio and body weight exercises with interval and strength training, and “The NWA,” a high-energy cardio kickboxing class. Walking in, you are greeted by artwork that highlights the gym focus of fitness, music and culture – along with a dreaded depiction of our forever president, Barack Obama. After teaching, I got a chance to talk with Barry about how the gym got its start and what the future holds. Get into the interview below! What is Urban Strength Nashville? The short answer, #IssaTrapGym. The team at Urban Strength wanted to create a space where everyone can have fun while working out in a social environment. Trap music is such a large part of the black culture and all the classes are based around music. I like to think we’ve created a new genre of fitness. 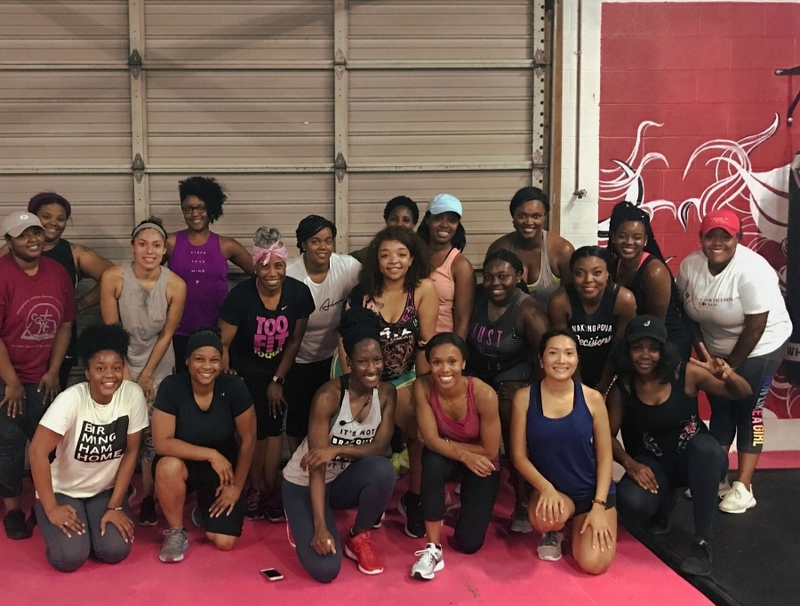 "We wanted to build a business that will bring people from all backgrounds together, and noticed a deficiency in the fitness community in Nashville. " How did the gym get its start? A group that I am a member decided to start a private equity fund where people like us could invest and start a socially-responsible business with a focus on community. We wanted to build a business that will bring people from all backgrounds together, and noticed a deficiency in the fitness community in Nashville. Of course there are gyms all over the city, but we didn’t feel there was one attractive to the urban professional to go to on a regular basis. Our group brainstormed and thought if we could marry hip-hop and popular culture with fitness, we would be on to something special. What is Urban Strength’s mission? We hope to bring a totally different look to Nashville’s fitness community. Our aim is for Urban Strength to be a place for everyone to get a unique experience through fitness, music and culture – in one environment. What is your vision for Urban Strength? We are already doing much better than our forecasted projections. The next step is to incorporate a wellness center into our gym. Our short-term goal is to continue upgrading our current facility and use it as a base for other locations we plan to open around Nashville communities going through gentrification. We want to keep our piece of the pie! Our long-term goal is to keep our options open as far as expanding into other markets.